Fibromyalgia has no cure and the management of this condition is difficult. Both pharmacological and non-pharmacological approaches are considered essential to assist these patients in better managing their illness. Exercise also has been shown to improve symptoms and quality of life in multiple studies. 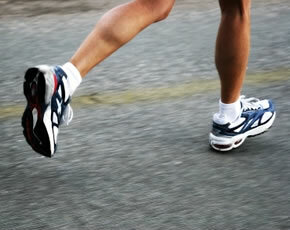 However, the pain, stiffness, and fatigue that characterized fibromyalgia make exercising consistently a challenge. In this review article, the potential value of exercise and physical activity as treatment for patients with fibromyalgia is described. The investigators reviewed the studies that have evaluated the effects of exercise and various forms of physical activity (such as yoga and tai chi) on symptoms, fitness, and quality of life in persons with fibromyalgia. Based on a review of 34 exercise studies, there was moderate-quality evidence for the short-term effectiveness of aerobic exercise for the treatment of fibromyalgia. Aerobic exercise at moderate intensity levels produced positive effects on global well-being and physical function. The effects of aerobic exercise on pain and tender points were variable but suggestive of benefit. Evidence for the effectiveness of aerobic exercise is limited with regard to stiffness, fatigue, and depression. Small studies suggest beneficial effects of strengthening exercise on pain, global well-being, tender points, and depression. However, larger studies need to be conducted before strengthening exercise can be recommended for fibromyalgia. Increasing physical activity throughout the normal course of the day (lifestyle physical activity), flexibility exercise, tai chi, yoga, and pool-based exercise have also been shown to produce benefits for people with fibromyalgia. Exercise and various forms of physical activity can play an important role in the treatment of fibromyalgia. Aerobic exercise has been shown to produce moderate benefits on functioning and well-being, while the evidence for the effectiveness of strength training, flexibility training, yoga, and tai chi is beginning to be accumulated. Given the value of exercise and physical activity for fibromyalgia, the central issue is finding ways to assist people with fibromyalgia to exercise consistently enough to derive maximal benefits. Although these approaches are promising in helping people to better manage their fibromyalgia, tolerance for the exertion associated with increased levels of physical activity is a critical issue. The slow and gradual introduction of physical activity and/or traditional exercise may minimize the chances of worsening fibromyalgia symptoms. It is also important for people with fibromyalgia to understand that they are capable of becoming more physically active. Health professionals play a crucial role in counseling and preparing people with fibromyalgia to become more physically active and helping them to manage the potential obstacles and setbacks as they strive to incorporate elevated levels of physical activity into their lives.